A finalist for the Miles Franklin Literary Award in 2018, No More Boats is not only a riveting story of a modern family it directly addresses issues that many nations around the world are grappling with as never before—namely, immigration, xenophobia, protectionism, racism, media manipulation, unchecked urban property development, and the precariousness of the working poor. No More Boats is an unbiased, moving, original, important story about the the world we live in, the families we come from, the raw impulses that we attempt to conceal. 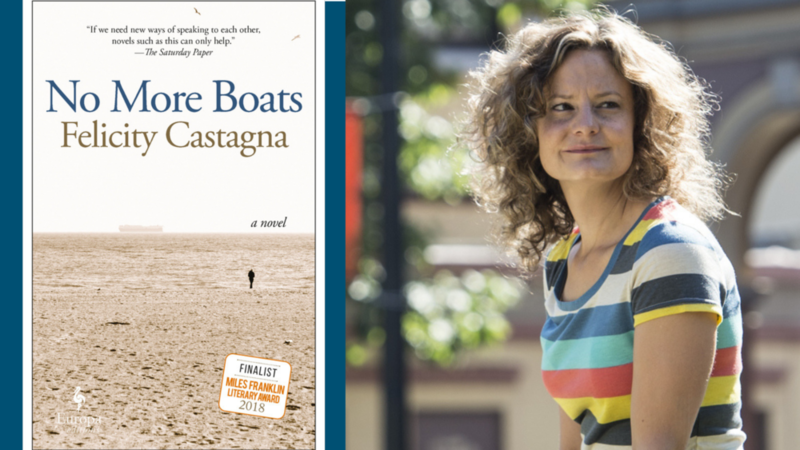 FELICITY CASTAGNA won the 2014 Prime Minister’s Literary Award for Young Adult Fiction for her previous novel, The Incredible Here and Now, which was shortlisted for the Children’s Book Council of Australia and NSW Premier’s Literary Awards, and adapted for the stage by the National Theatre of Parramatta. Her collection of short stories, Small Indiscretions, was named an Australian Book Review Book of the Year. Castagna’s work has appeared on radio and television, and she runs the storytelling series Studio Stories.